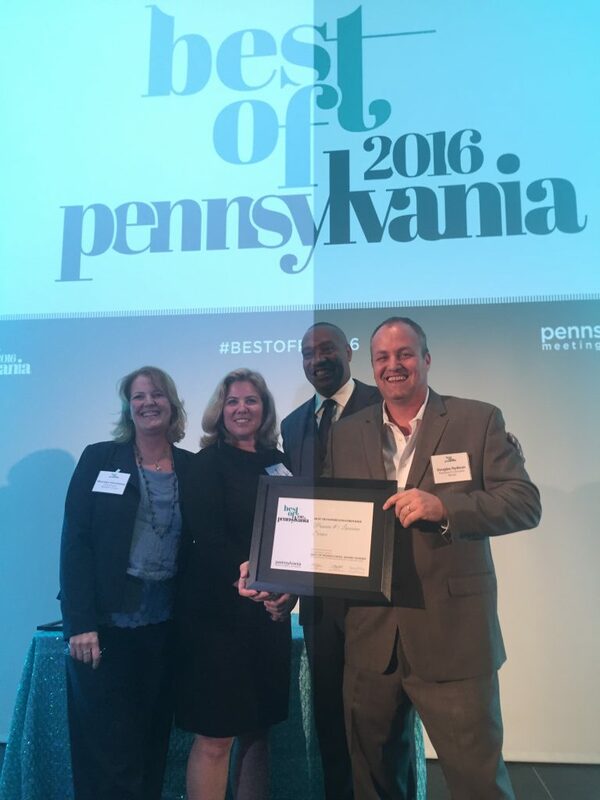 Middletown, PA – Premiere #1 Limousine wins the 2016 Best of Pennsylvania Award for Transportation Provider. The Best of PA Awards are hosted by the Pennsylvania Meetings + Events Magazine. This is the first year for the awards. All of the award winners were selected through a write-in ballot submitted by the readers of Pennsylvania Meetings + Events Magazine. Premiere was among a host of other businesses from the Central Pa. region that won awards in various categories. All award finalists were invited to the awards ceremony, which took place on the evening of Tuesday, October 6, 2016 at the Top of the Tower in Philadelphia. The winners were announced at the ceremony. Premiere #1 Limousine Service has provided luxury transportation services in Central PA for 15 years. In March 2009, a new owner acquired the business and has since expanded the fleet to include S and E class Mercedes, SUVs, passenger vans, corporate limousines, minibuses and luxury motor coaches. With a combined total of 30+ years in the transportation industry, the principals have a highly capable and experienced management team in place. Our discerning, upscale clients demand safety, quality, and exceptional value, which we consistently deliver. For more information, go to Premiere1Limousine.com, or call (717) 616-8995.